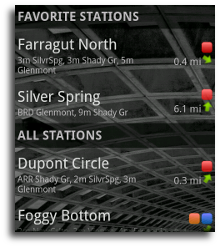 Get around the city with DC Metro Rails and your Android phone. Use real time train arrivals and rail alerts to help you catch the next train. 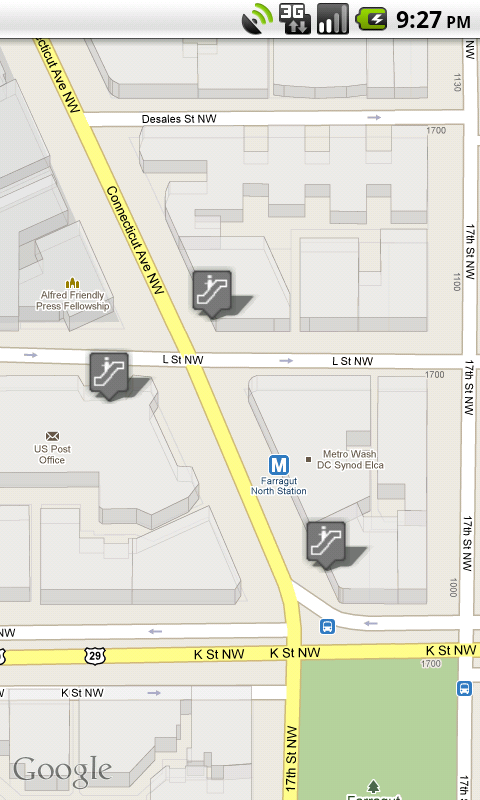 Find the nearest station entrance and get there with the map and compass. Favorite your most used stations or make a shortcut to them on your home screen. 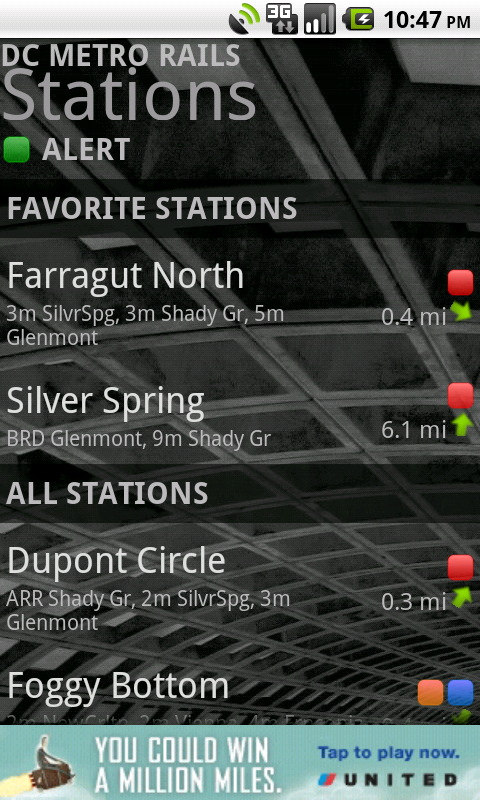 Quickly get the station you want by finding it in the stations list or picking it out on the map. 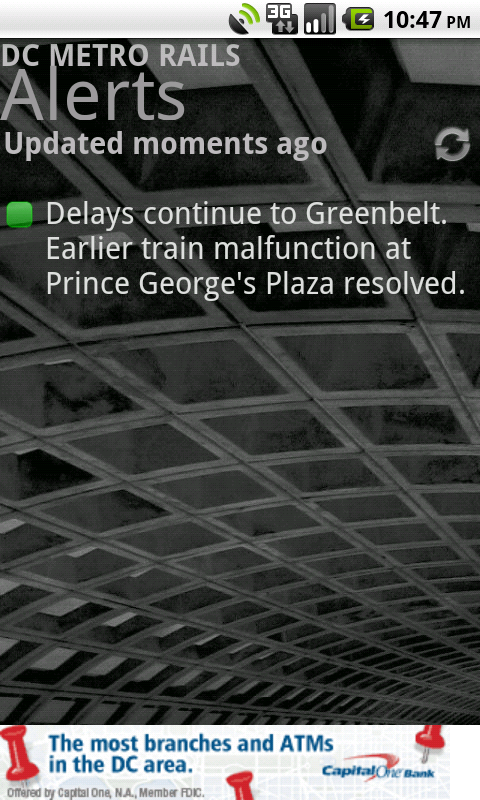 Real time train predictions are available for every station. View the next train for each station directly from the stations list or view all the inbound trains for a station on the stations page. 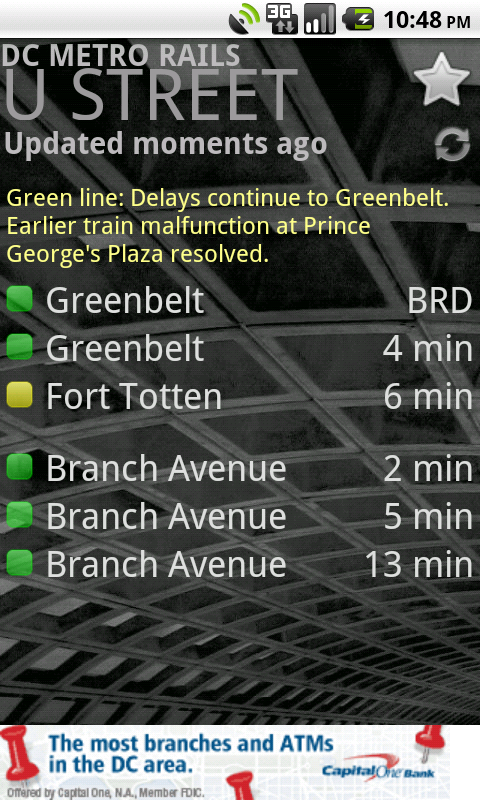 Data is real time and provided by WMATA. Know when there is a rail alert so you can plan around it. Rail alerts are shown in every part of the app: On the main stations list page, on a station page if the station or line is affected, and on the alerts page.